Have you ever wondered how Focus on Tanzanian Communities monitors and supports all of the projects and contractors that we work with in Tanzania? Well, let us introduce you to our boots on the ground, Elizabeth Mwakajila. Elizabeth joined the FoTZC in 2016 and serves as the organization's eyes and ears in Tanzania. 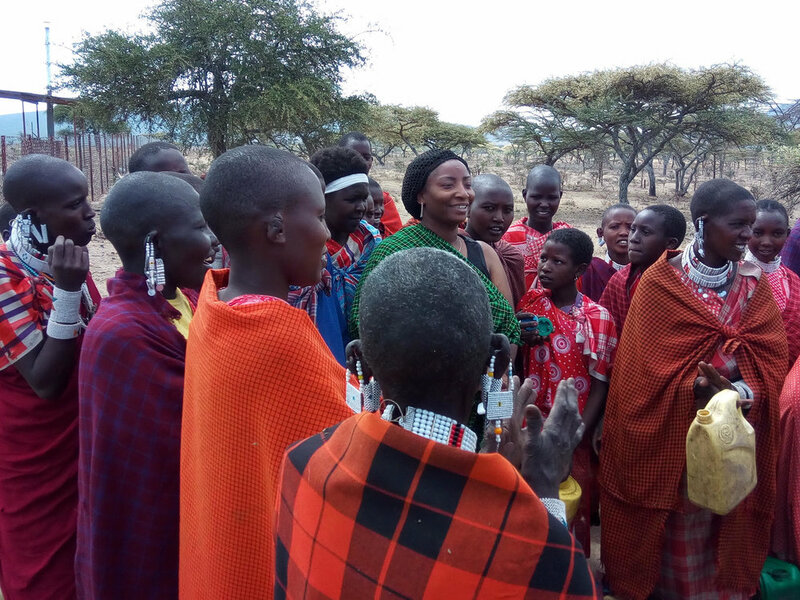 Fluent in both English and Swahili, Elizabeth is as a conduit between the FoTZC board of directors and local contractors, village elders, and elected officials. As Projects Administrator, Elizabeth ensures that construction projects and programs stay on track, and through monitoring and evaluations, that our donors' dollars are spent responsibly. Born in Iringa, Tanzania, and educated at Mzumbe University, Elizabeth is a lifelong resident of the country. She has a background in marketing, community development, with a focus on supporting women's entrepreneurship, and is very interested in economic development and training for her fellow Tanzanians. Given our work in these areas, she couldn't be a better fit for the position. Elizabeth brings a unique perspective to our work and we are incredibly lucky to have her on our team.